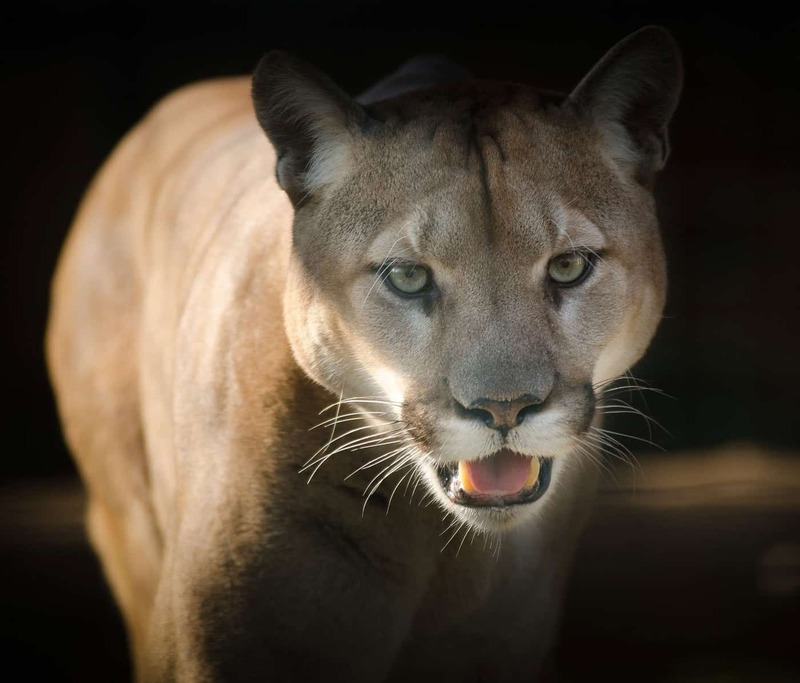 Home » Blog » Cougar, Puma, Panther or Mountain Lion? The Cougar: Tame as a Cat or Wild as a Lion? Cougars, also known as puma, panther or mountain lion, are magnificent and awe-inspiring animals. They are not often seen by humans, as they normally avoid confrontations. They are powerful and they are a solitary animal. Mountain Lions travel under cover such as in bushed areas and rocky ledges. These areas are also where the cougar hunts for prey. They are at the top of the food chain and tend to hunt deer; however, they will eat a variety of animals, such as beaver, porcupine, rabbit, grouse, moose, bear cub, and even cougar. While it is not common cougars have been known to prey on house-pets and livestock. Cougars are incredibly powerful and can prey upon animals up to six times their weight. Male cougars can be as heavy as 200 lbs, while a female can reach 120 lbs. They have relatively small heads and are red-brown to grey-brown in colour with their undersides being of a lighter hue. These large animals have long tails, which quickly distinguishes them from the Bob Cat or Lynx. Mountain Lions are mostly found in the southern third of the province which includes the Okanagan. It is estimated that there are only about 5,000 in British Columbia. They are most active at dusk and dawn, but will hunt any time of the day. Interestingly they are playful and curious just like house cats. They even tend to like catnip and they purr, too. 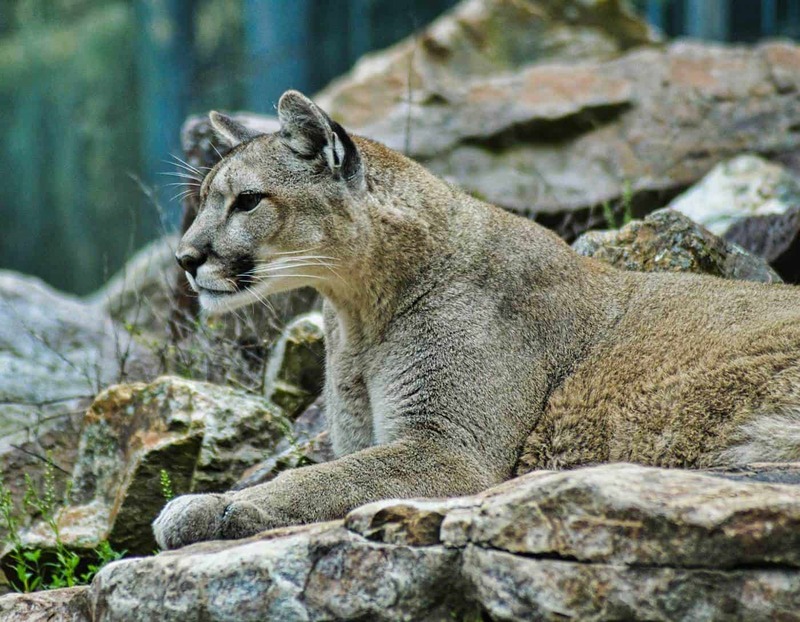 It is important to hike with awareness, to learn as much as possible, and to know what to do if in the unlikely event of you encountering a cougar. Most of the safety precautions suggested for a bear encounter also apply to cougars. Regular sightings are reported every single year in the Okanagan especially in the more Southern parts of the valley, none of which have been life threatening ones. In Kelowna they tend to be spotted more around the East Kelowna region and so far none has been seen in Wilden. Cougars can become a problem if they linger around one area for a longer time and don’t seem to move on. Any dangerous sightings should be reported to the conservation office at 1-877-952-7277. If you would like to lear even more, here is a link to some more wild cougar facts & safety tips.